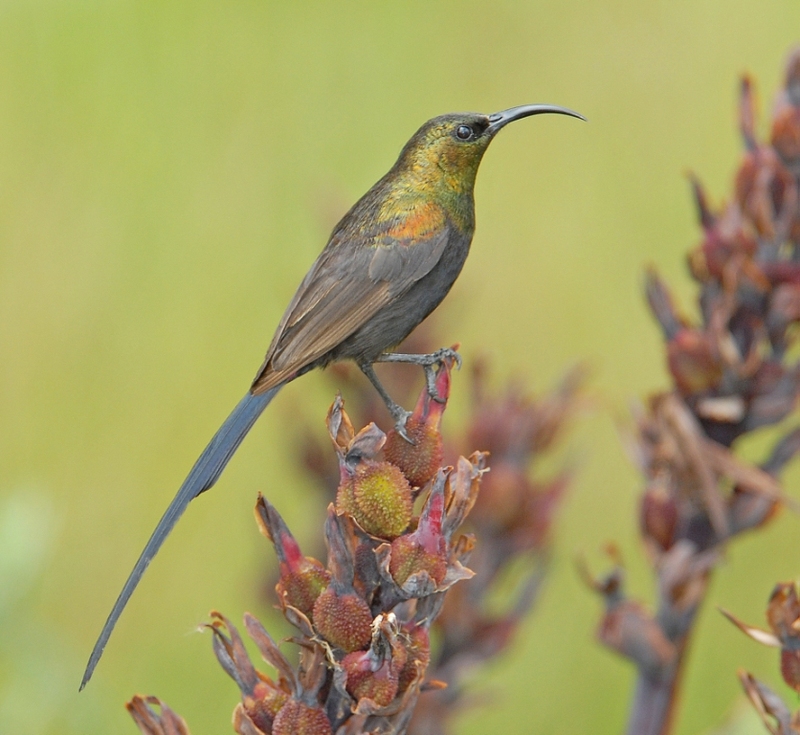 Large sunbird, completely bronze, long tail. Forest edges and montane scrub. 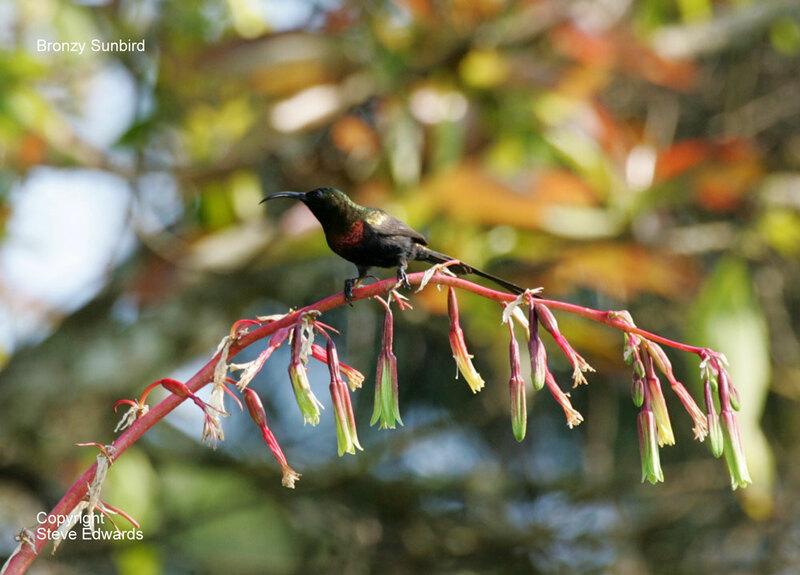 Feeds on nectar from aloes, Erythrina and other red/orange flowers. Can be seen around Crimsonwing Cottage.